Just three weeks after its delightful premiere, a second season the 420-friendly new cooking/talk show Martha and Snoop’s Potluck Dinner Party has been ordered by VH1. 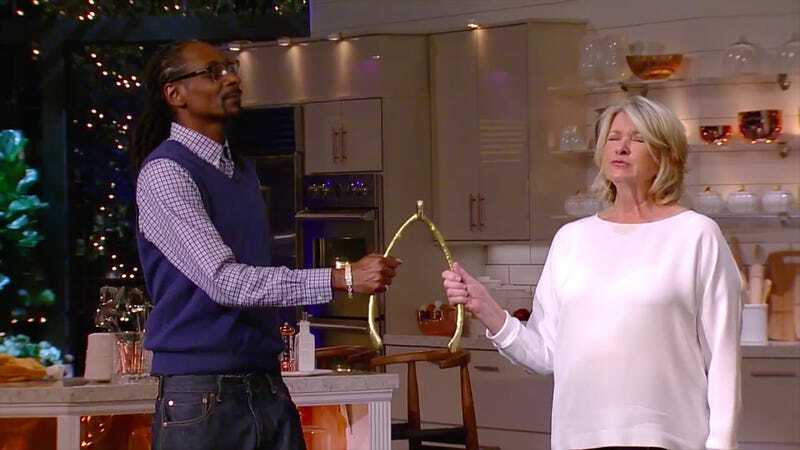 When announcing the show’s renewal, network president Chris Mccarthy described hosts Martha Stewart and Snoop Dogg as “the modern day Odd Couple and the reigning King and Queen of pop culture,” two characterizations that I find both inaccurate and strange. Stewart and Dogg’s own announcement was much more charming, despite the fact that I’m pretty sure it was scripted by a group of five to six people. “Wonderful news,” responded Stewart. Indeed.